Mid-campaign season in 2015, Catherine McKenna swam four kilometres from Aylmer, Que. to Ottawa – then dried off and resumed knocking on voters’ doors. Her experience as a competitive swimmer, including a member of three national champion Varsity Blues swim teams, taught her the value of perseverance and teamwork, she told U of T News in a phone interview – above the chatter of the House of Commons. McKenna, the federal minister for the environment and climate change, was a student at U of T’s University of St. Michael's College, studying international relations and French. But you could say her student years were semi-aquatic. She practised with the Varsity Blues two or three times a day, with training starting as early as 5 a.m. Her best events were the 200-metre backstroke and the 400-metre medley. Her passion for swimming blossomed in her hometown of Hamilton, where she swam for a local club, and grew under the coaching of Byron MacDonald, now in his 41st season with the varsity swimming program. 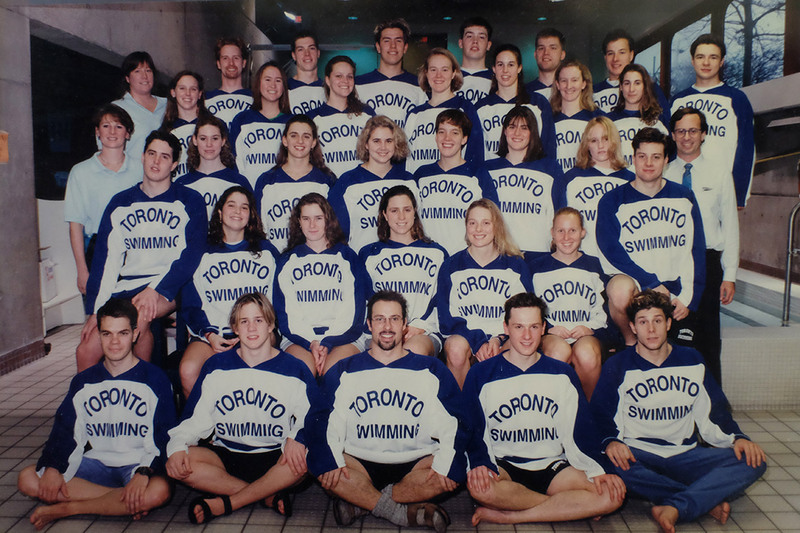 Around the time McKenna came to U of T, Mark Tewksbury won the Olympic gold medal in the 100-metre backstroke in Barcelona, bringing prominence to the sport in Canada. The U of T program was in a purple patch, attracting a dynamic group of high-achievers, MacDonald says. “Catherine being one of them,” he adds. Of all the lessons she soaked up as a member and then captain of the varsity team, the most important was the value of teamwork, McKenna says. Although people tend to think of swimming as an individual sport, on a university team, every person’s performance – and each point – counts. She’s drawn from that experience to confront challenges long after graduation, in law and federal politics. Even now, she finds time to swim with the National Capital Masters Team. Just don’t ask her about her times, she jokes.